I’m not a vegetarian, but this place makes me want to be. Farm Sanctuary is an amazing place that rehabilitates and saves animals that might otherwise die due to severe injury or were on their way to the slaughter house. For Thanksgiving they have Adopt-A-Turkey, where you can help save a little gobbler from becoming this year’s dinner. 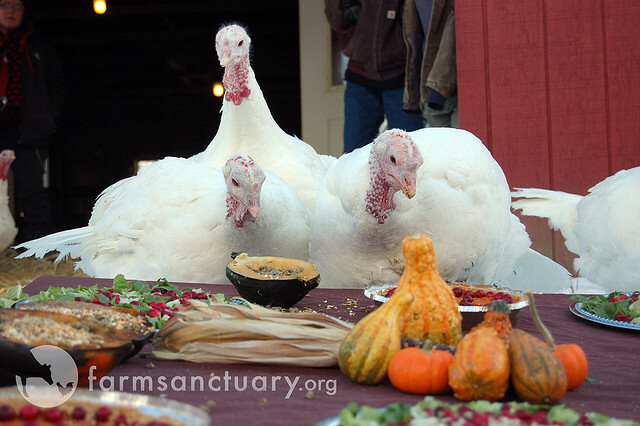 There are two Farm Sanctuaries, one in CA and one in NY, which I hope to visit one day. You can help out by giving a general donation, or by adopting an animal of your choice and providing monthly support. 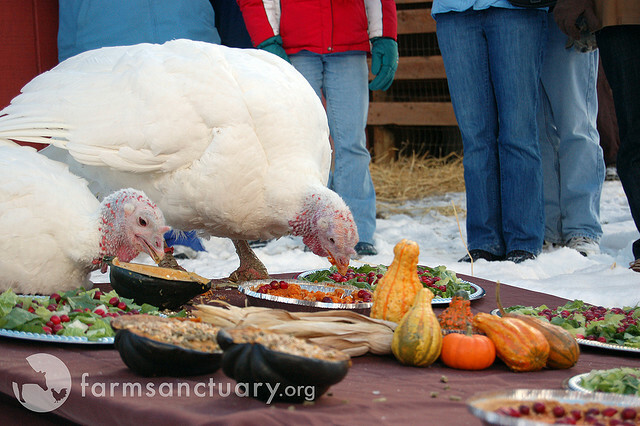 They also have a Celebration for the Turkeys, which is basically your typical Thanksgiving spread, sans meat of course, but the birds are the guests of honor. These pictures are so damn cute…. Entry filed under: Farms. 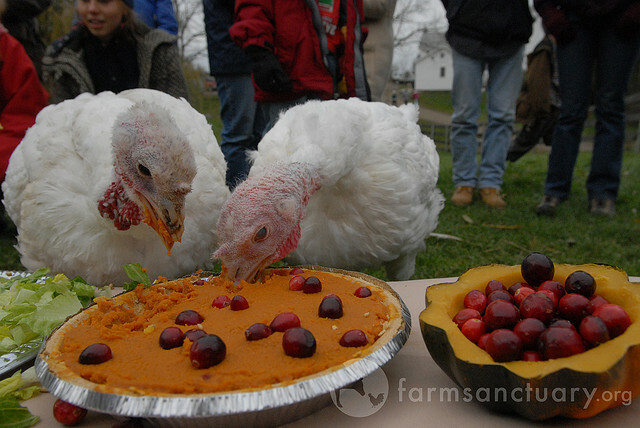 Tags: Adopt-A-Turkey, Farm Sanctuary.